Ladder safety in the workplace is important to understand. While it may seem like common sense, a lot people use a ladder incorrectly putting themselves at risk of injury. A fall from a ladder can cause significant damage and in extreme cases even fatality. Understanding proper use of a ladder is vital to preventing injury. There are a few easy steps you can follow in order to prevent these type of injuries and perform work with a ladder in the most safe manner possible. 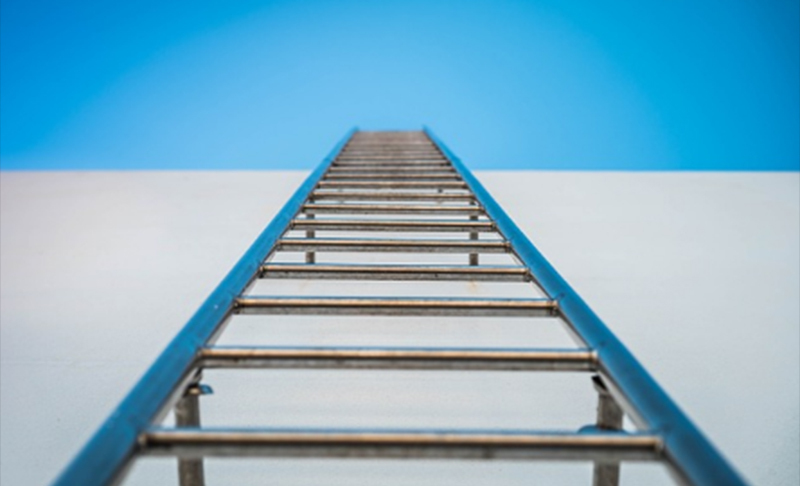 Most falls on ladders occur due to sudden movement, lack of attention, the condition of the ladder, the user’s age or physical condition, and the user’s footwear. It’s important to make sure that you pay attention to your surroundings while on the ladder, not make any sudden movements, climb slowly, and never attempt to move a ladder while on it. A proven method of ladder safety is manifested in the three point-of-contact climb. This method should be used any time while using a ladder to minimize the chances of slipping and falling off a ladder. Using this method instructs the climber to always have two hands and one foot, or two feet and one hand, on the ladder at all times. This prevents the climber from becoming unstable. It is imperative that the climber not attempt to carry any objects in either hand while on the ladder as this will not adequately maintain the three point-of-contact and increase the risk of falling. Don’t climb if you are feeling dizzy. Read the manufacturer’s instructions and warning labels. Make sure the ladder is set up so that all of its feet are planted firmly on the ground. Open the ladder fully and make sure it is locked securely. If using an extension ladder, make sure it is tied at the top, middle, and bottom to prevent ladder movement. A second person should also be used to act as a spotter and hold the ladder at the bottom. Always face the ladder when ascending and descending. Never climb higher than the second rung on stepladders or the third rung on the straight or extension ladders. If climbing from the ladder to another surface, make sure the ladder extends at least three feet past the platform. Do not place a ladder in front of a closed door that opens toward the ladder. It is not only important to understand how to maintain safety while on a ladder, it is also important to understand how to properly inspect a ladder before use to make sure it is working properly. Make sure there are no broken or frozen joints in the ladder and inspect the ladder for cracks or broken rungs. For a wooden ladder, check for any cracked or split wood to prevent splinters. Keeping all these methods and procedures in mind while using a ladder will ensure the most effective use of ladder safety.